Hong Kong Employment and Spouse Visas - Swap Them? It’s a situation that seems to happen all too frequently these days, especially in the banking sector. Can a married couple, both working, effectively swap their Hong Kong employment and spouse visas around? Thank you for all your insight to the working of the Hong Kong Immigration Department that I find very useful. 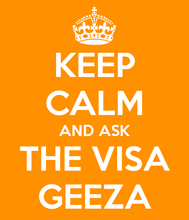 I have an employment visa valid till 10 June 2013. I have been made redundant from the job that sponsored this visa and currently am not working. My wife has a dependant visa also valid till 10 June 2013. She is working for a major US international insurance concern with a big operation here. Her salary is HKD25,000 per month with MPF, a 13th month bonus and an extraordinary HKD25,000 bonus paid usually paid in December. I have a small pension from my home country of HKD 5,000 monthly. We intend to ask that her dependent visa be converted to an employment visa and mine from an employment visa to a dependent visa. My wife is a Singaporean, she has a US work visa (expired) and a UK business visa stamped in her passport. Do you think Immigration will likely grant this change and should I submit my request for a dependent visa with her employment visa at the same time , or wait till her employment visa is granted and then request my dependent visa. I am a citizen of Austria. Thanks for all your feedback and great work on your web site. Is it ever possible to convert a foreign domestic helper visa into a regular Hong Kong employment visa?